Extravagant foxes and chestnut leaves decorate the inside in a cool palette of cyans, cornflower and pale violet. 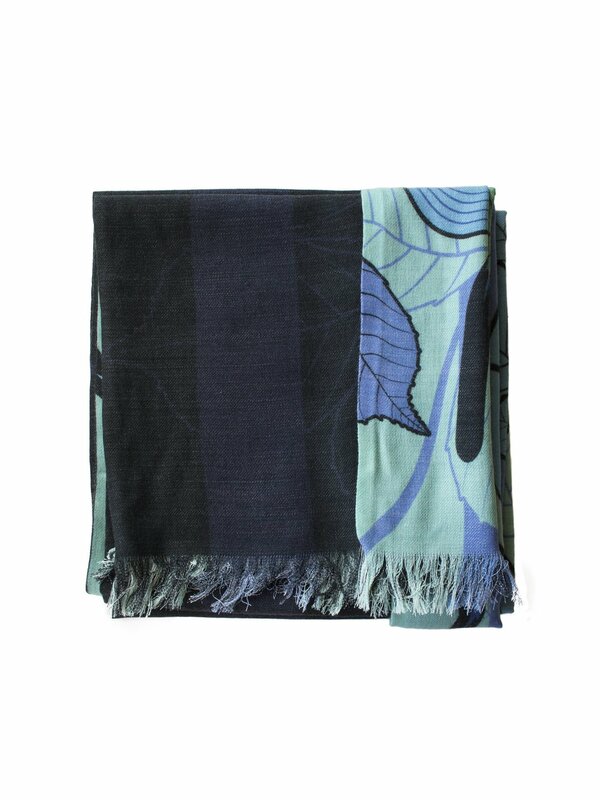 The contrasting outside is a deep monastic blue with subtle detailing. 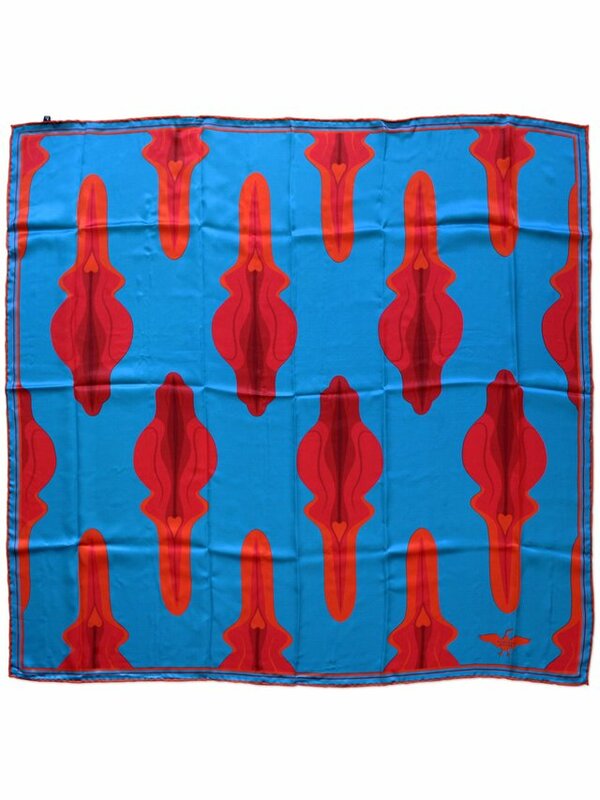 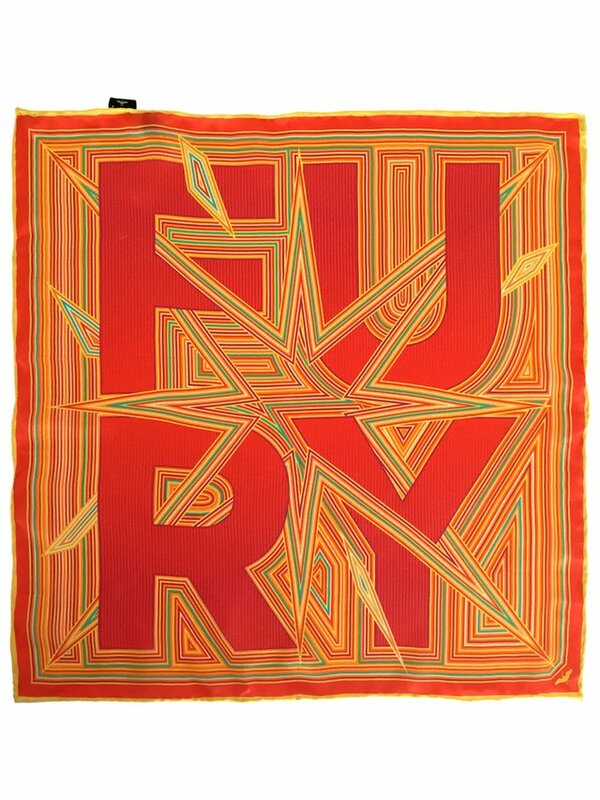 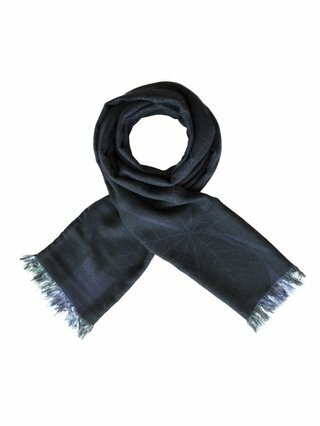 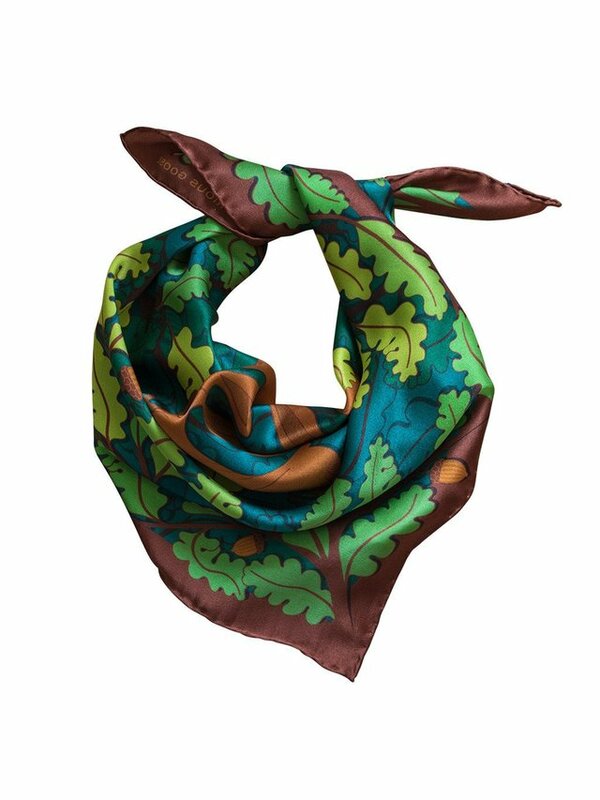 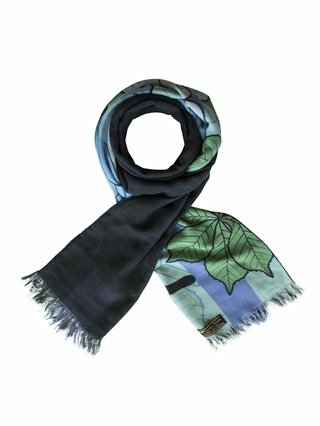 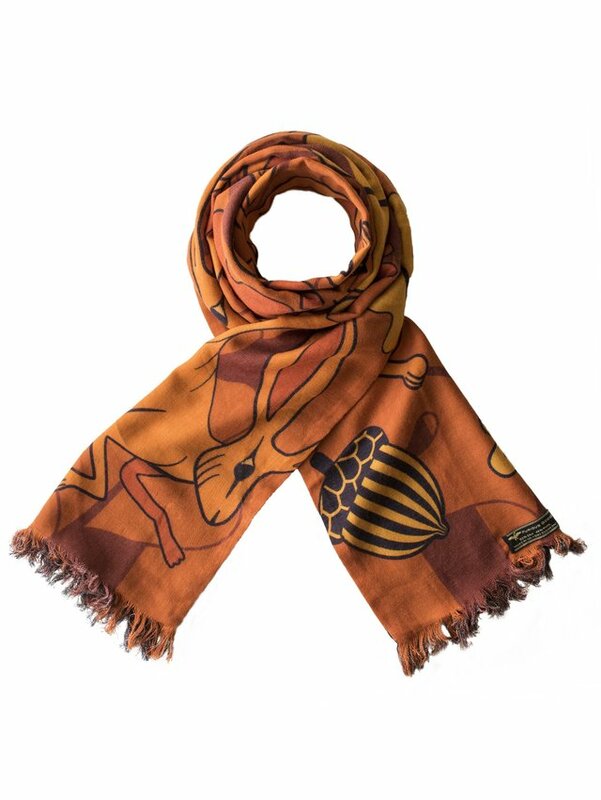 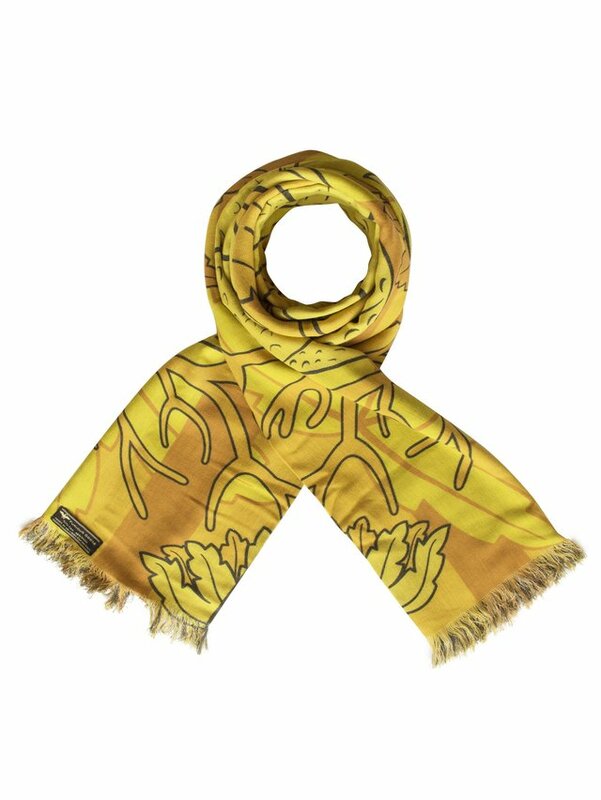 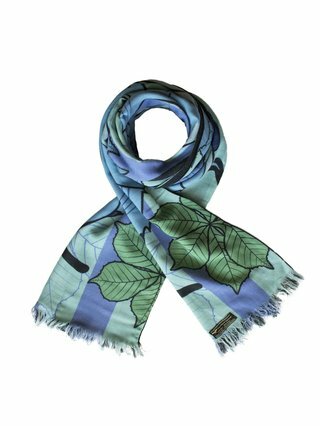 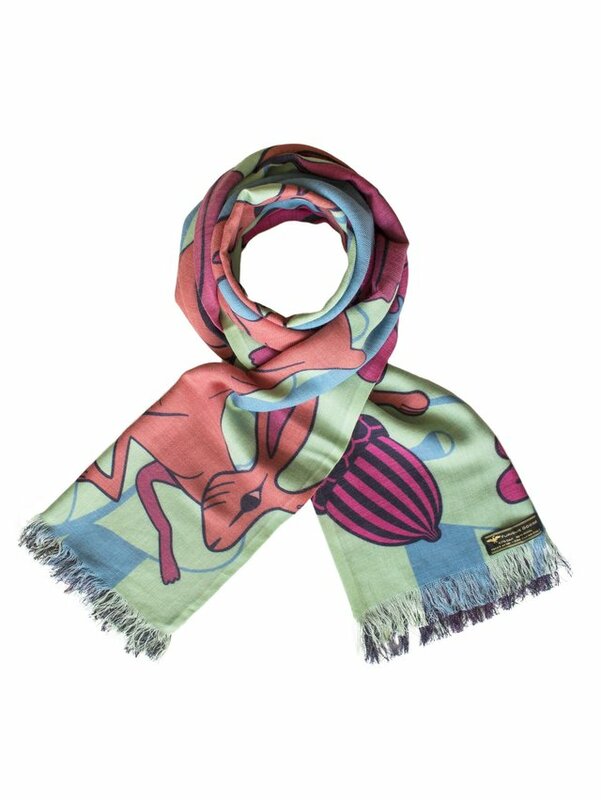 As a reversible accessory this scarf provides multiple colour combinations, perfect for any occasion. 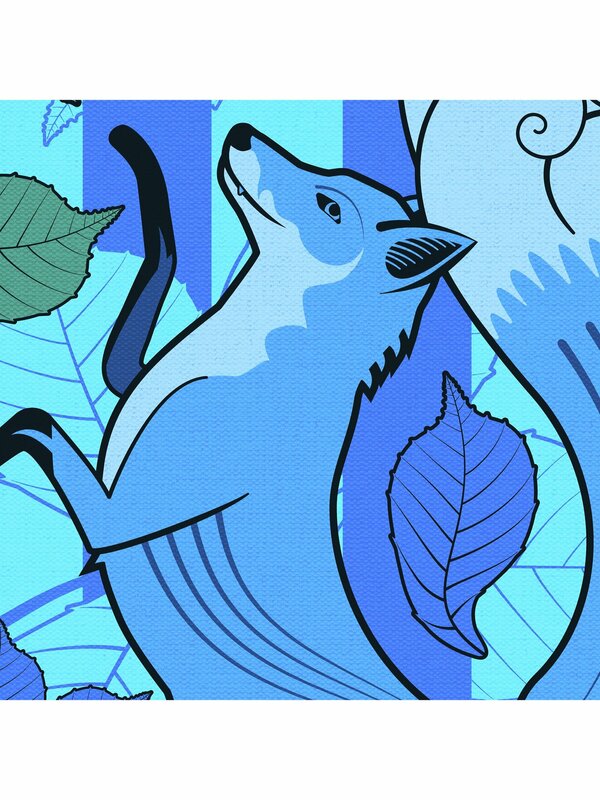 Foxes are usually recognised as the trickster but they can also be teachers and symbols of intelligence (particularly for the Celts) – they know their way through the deepest forest and similarly can lead a soul through the spirit world.